Lose Your Frenum, Free Your Smile! THE FRENUM, A THICK piece of tissue often found between the upper front teeth, may be responsible for your front tooth space. Your upper lip might even be attached with your thick frenum. This may be preventing you from smiling as big as you would like. A thick frenum can be removed by laser or periodontal surgery. This procedure, called a frenectomy, is usually done by a periodontist (a gum and soft tissue dental specialist). Removal of your frenum is painless and relatively inexpensive. With a frenectomy and orthodontic treatment by braces or Invisalign, your orthodontic space can be held closed for a lifetime. Following frenectomy, tooth space is held closed with either a removable or nonremovable retainer. With the aid of a bonded lingual retainer (inside tooth wire) your upper tooth space (diastema) may be gone forever. Come visit us at Gorczyca Orthodontics in Antioch, California and let us help you be free of your frenum. Call us at 925-757-9000 for a free orthodontic exam. Visit us at www.clubbraces.com. Be free of your frenum and enjoy the smile of your dreams! Top image by Flickr user Andy Eick used under Creative Commons Attribution-Sharealike 4.0 license. Image cropped and modified from original. If you are wearing braces, let your orthodontist know as soon as possible your happy family news. Your orthodontic treatment will continue while you are pregnant with a few special considerations. Your orthodontist will elect not to do X-ray (radiographs) while you are pregnant. Please let all dental and medical professionals know when you are pregnant and restrain from having X-rays taken. 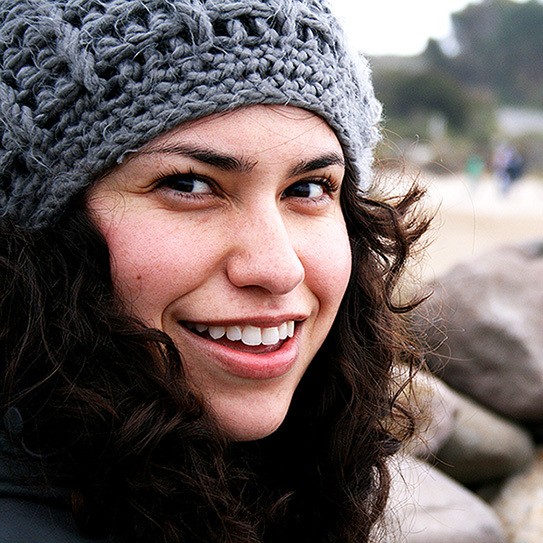 Due to the increased levels of your hormones, your gums are more susceptible to gingivitis. You may have "pregnancy gingivitis" if your gums become puffy and you are pregnant. Your gums may bleed when you brush and appear red. This is due to pregnancy gingivitis which affects up to 70% of pregnant women. Pregnancy does not cause pregnancy gingivitis. The altered tissue metabolism of pregnancy accentuates the response to local irritants. For this reason, it is of utmost importance for your oral hygiene to be excellent during pregnancy for your to avoid the pregancy gingivitis condition. If you have symptoms of pregnancy gingivitis, your orthodontist may recommend additional cleanings with your dental hygienist. These are best done with the orthodontic arch wires removed. If you have gingival enlargements of your gums, your orthodontist may also send you to your dentist or a periodontist for additional specialty gum care. Our goal is for you to have minimal gingival inflammation during pregnancy with no infections of your teeth or gums. Your teeth may also feel lose during pregnancy if you have pregnancy gingivitis. Your orthodontist may recommend that your teeth be moved more slowly or not at all during the last trimester of pregnancy. Pregnancy gingivitis can be minimized or prevented by excellent oral hygiene from the beginning to the end of your pregnancy. If you have questions about orthodontics or pregnancy gingivitis, visit us at Gorczyca Orthodontics in Antioch, California. Find us at www.clubbraces.com. Your body may feel hot during pregnancy as well. Due to your hormonal changes, your taste buds may have the constant urge to eat ice cream. Eat up and enjoy this special time. Come see us for braces when your pregnancy is over and be sure to bring your baby for an initial orthodontic exam at 7 years old. 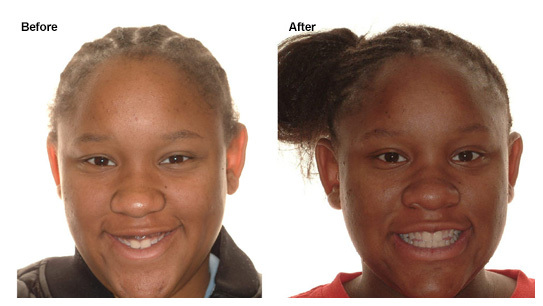 A BEAUTIFUL SMILE reveals gorgeous upper front teeth with ideal proportions. With gummy smile, excessive gum tissue makes upper front teeth look short. The shape of these teeth appears square or like a sizeways rectangle, rather than the normal 80% width to height ratio. Gingivectomy is a procedure that can be used to restore ideal tooth height where gums are excessive. Removal of excessive gums can be done by laser, quickly and comfortably, for a beautiful result. 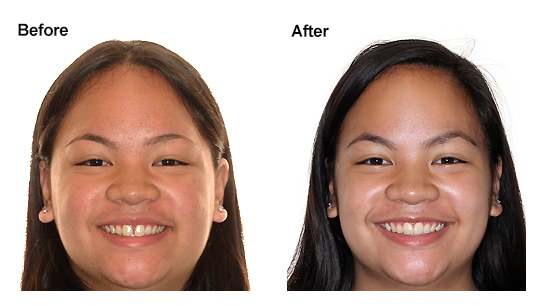 Gingivectomy eliminates gummy smile with or without braces. 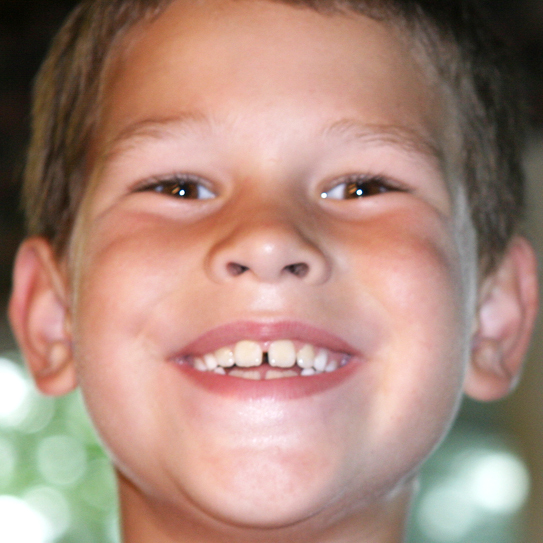 In children, teeth may appear square from incomplete tooth eruption. 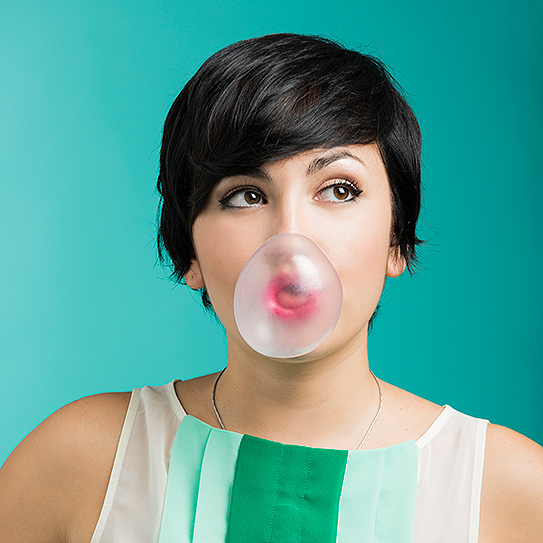 In adults, teeth may appear short from either excessive gum tissue or extreme tooth wear. Your orthodontist, periodontist, or general dentist can answer your questions about short teeth and gummy smile. To find an orthodontist near you, visit www.mylifemysmile.org or call Gorczyca Orthodontics (925) 757-9000 in Antioch, California for a complimentary consultation and smile analysis. Let everyone see your beautiful teeth by eliminating your extra gums. Here's to your gorgeous new smile.